Apparently I should feel a terrible, horrible shame that I have never seen The Goonies. 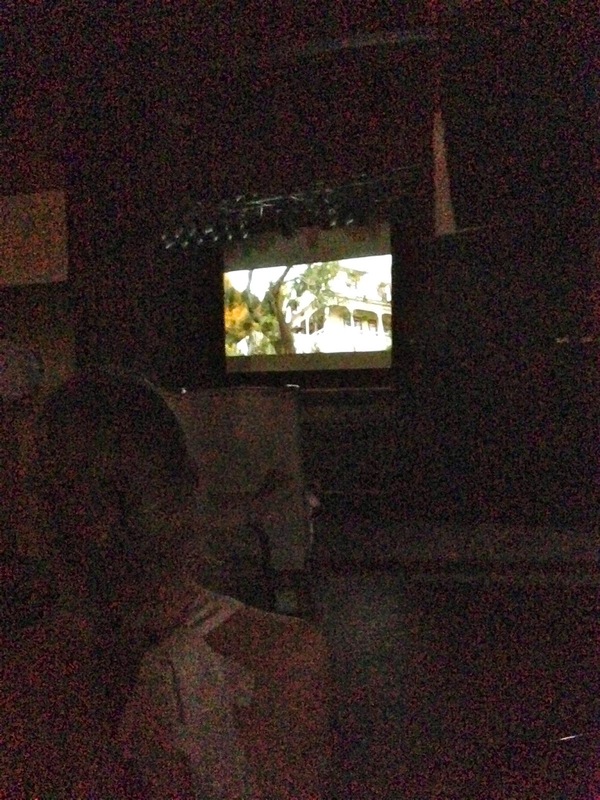 A FREE screening of The Goonies at The Orange Peel! The Orange Peel is actually a fairly famous music venue so it’s pretty cool to see something there for free! Well…we got beer and popcorn, but that’s mandatory, right? Can you see the situation from this stellar I-phone picture? No? Weird. Think about it: Just…what if?! This is going to be my new mantra.